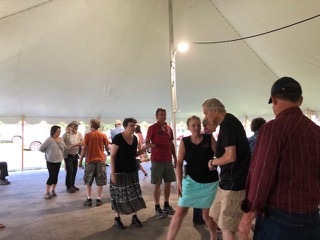 Winona County Fair | Square Dance Minnesota, Inc.
July 12, 2018 – Winona County Fair, St Charles, Caller Monty Guenzler. Two squares danced at the demo. This entry was posted in Activities on July 19, 2018 by LeRoy.